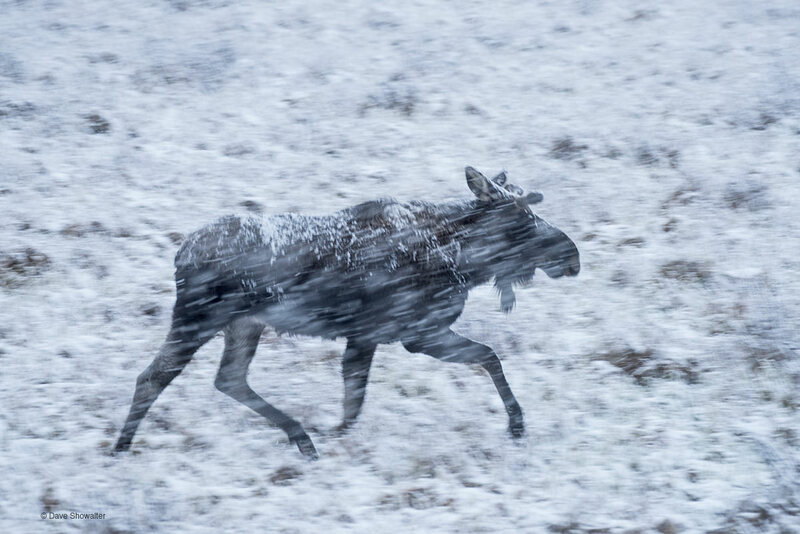 A young bull moose jogs to the forest as a driving spring storm picks up steam in the Kawuneechee Valley. The Colorado River headwaters are just a few miles up on the Continental Divide (as the raven flies) from here, and this wetter west side of Rocky Mountain National Park provides outstanding riparian habitat for moose and just about everything else. . Photo © copyright by Dave Showalter.